"Iutia septentrionalis (Daniae II. Tabula)". Copper-engraving by G. Mercator, published ca. 1595. Original old colouring. With coloured ornamental cartouche. 29:40 cm (11 1/2 x 15 3/4 inch.). 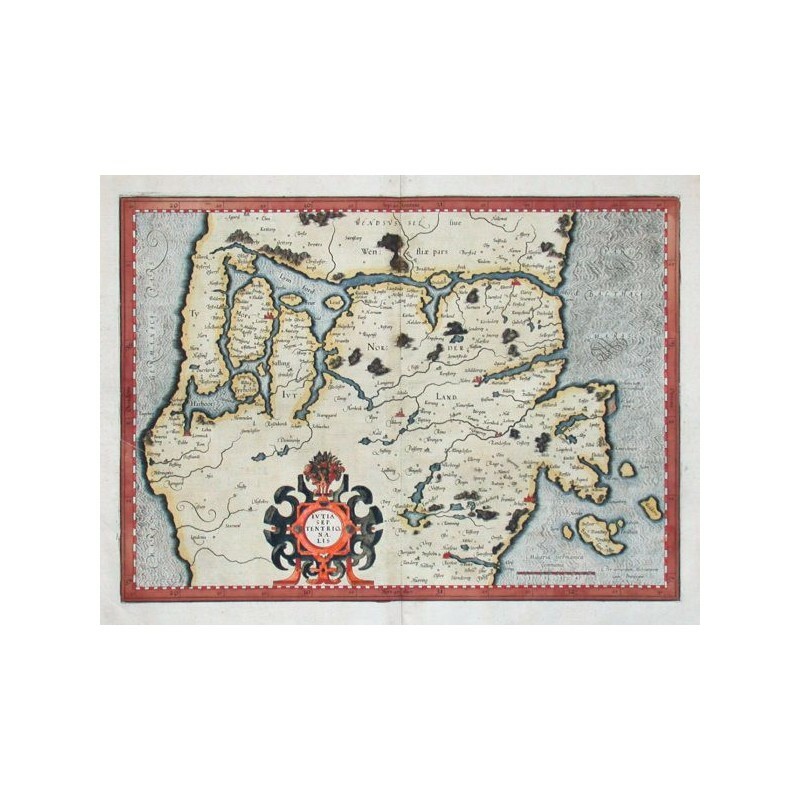 Koeman I, Map 1551:1A, Ed. 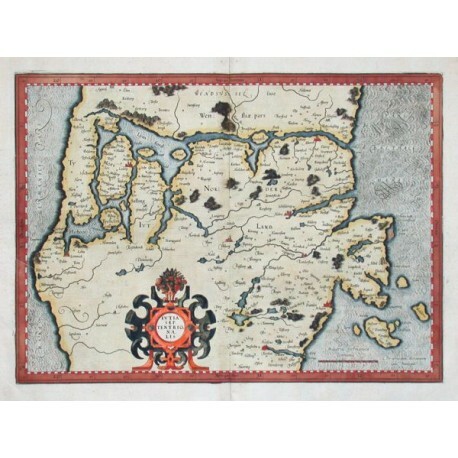 1:011/12 (1595-1602 Latin) - A map of the northern part of Jylland with Skive, Viborg, Arhus, Horsens etc.